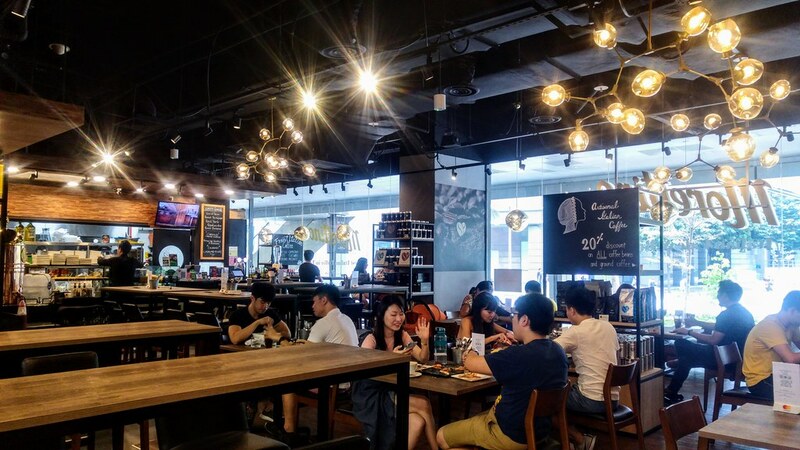 Located in 100AM Mall, Morettino Cafe is a cosy dining space that serves authentic Italian food prepared by Chef Andrea, who started his culinary journey in Rome. Not just a cafe for food, their coffee is Morettino, an Italian artisanal slow coffee produced in Sicily, in the middle of the Mediterranean since 1920. 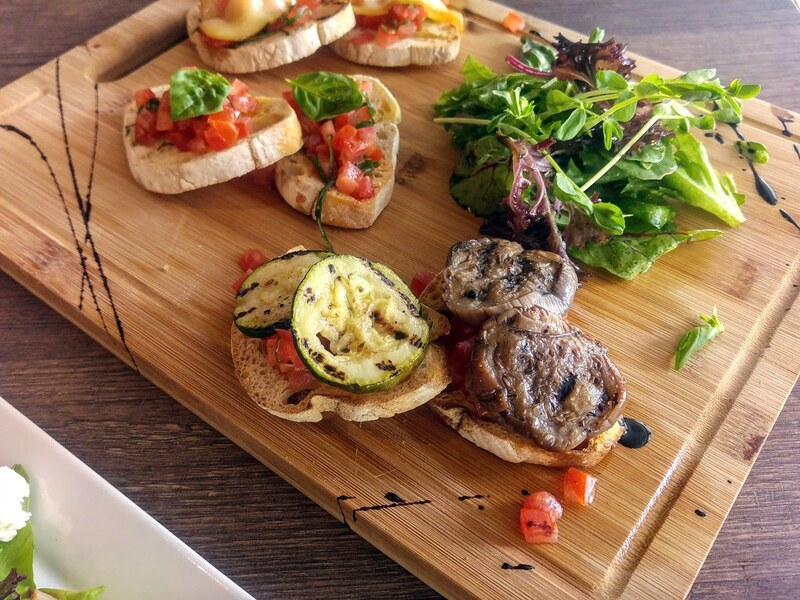 Our lunch started with Bruschetta of the Chef ($14.80) made with fresh tomato, basil, mix vegetables and herbed cheese. I like the homely touches of the eggplants and zucchini which were delightful. Marinated and pickled in house, they are not soaking wet with vinegar and salt like those of ready made, which allows their natural flavours to come through. Alongside our starter we had Pisa Salad ($16.80). A salad but the key is really their roasted beef and I could imagine having this dish along with their wines. Laced with a layer of luscious fats, each slice of beef gave a rich and satisfying mouthful despite its elegant cut. I appreciate the light kiss of olive oil on the salad without complications of a salad dressing, other than assertion from the feta cheese. 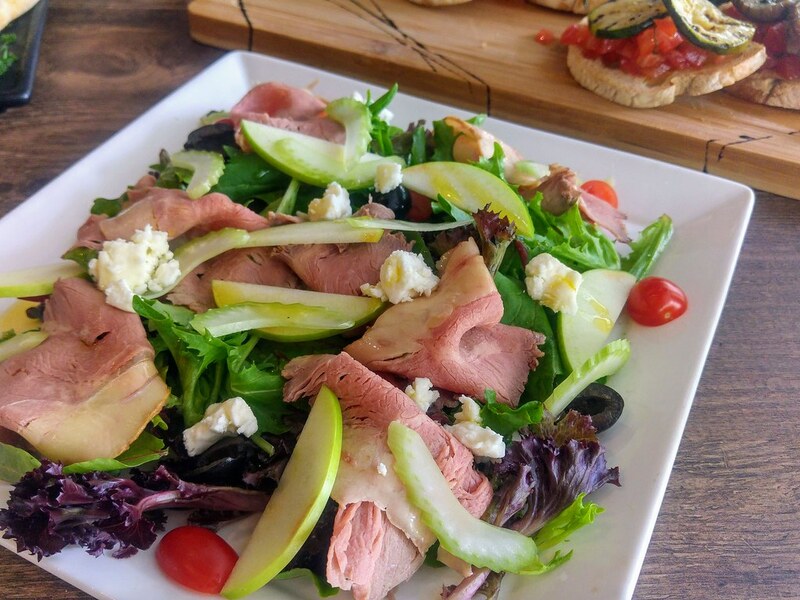 The beef and feta makes a pretty strong combination but the apple and greens balance that out. 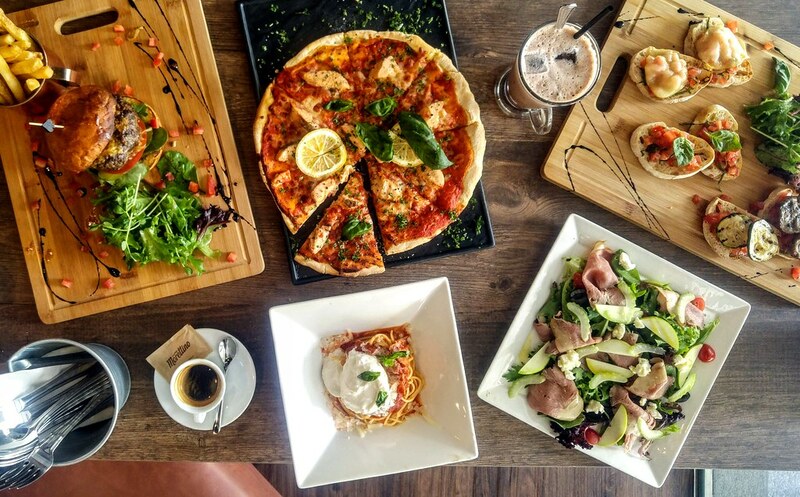 You will notice that almost under each category in the menu, there will a Burrata dish and labelled as Chef's recommendation. Apparently, the Burrata used here is supplied by Chef Andrea's friend in Italy, who produces organic Burrata in small batches! 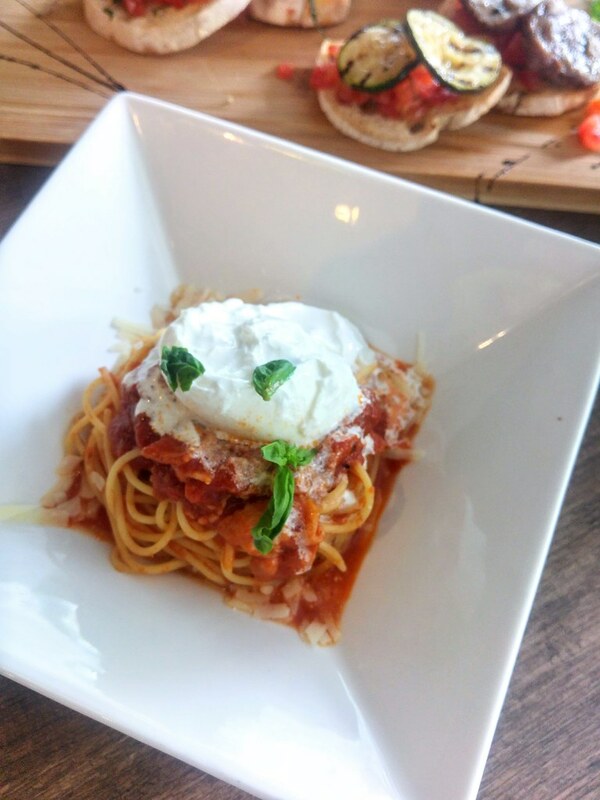 I was so glad that I had chosen one of the Burrata dishes - Spaghetti Amatriciana with Burrata. Tossed in traditional roman tomato sauce prepared inhouse, the well rounded sauce seems to leave just enough space for the savoury chopped bacon to fit right in. That allows the delicate burrata cheese to stand out even after it was mixed into the pasta. 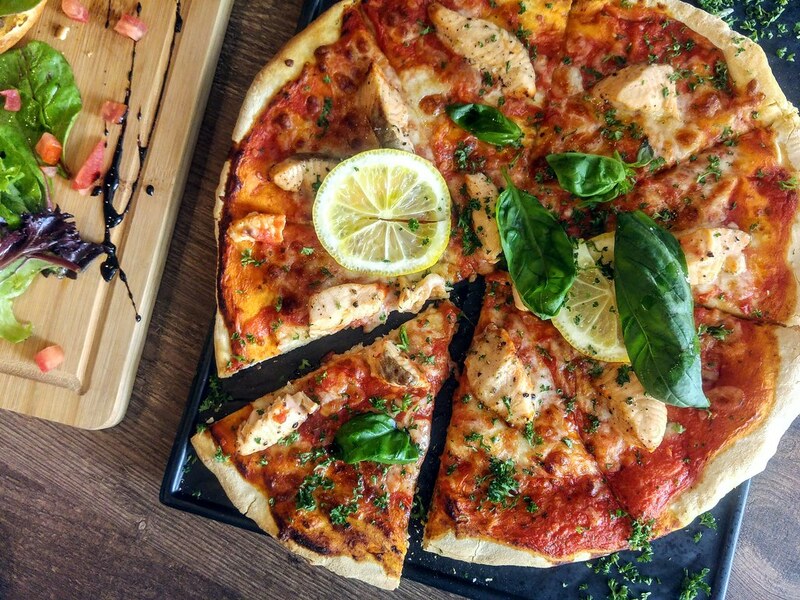 For pizza, we decided to try a more different combination - Salmon Lemon ($25). It was underwhelming somehow. I find the salmon slightly dry and the overall combination was a tad too bland even with all the fresh herbs and cheese. I would have opted for the Burrata pizza anytime! 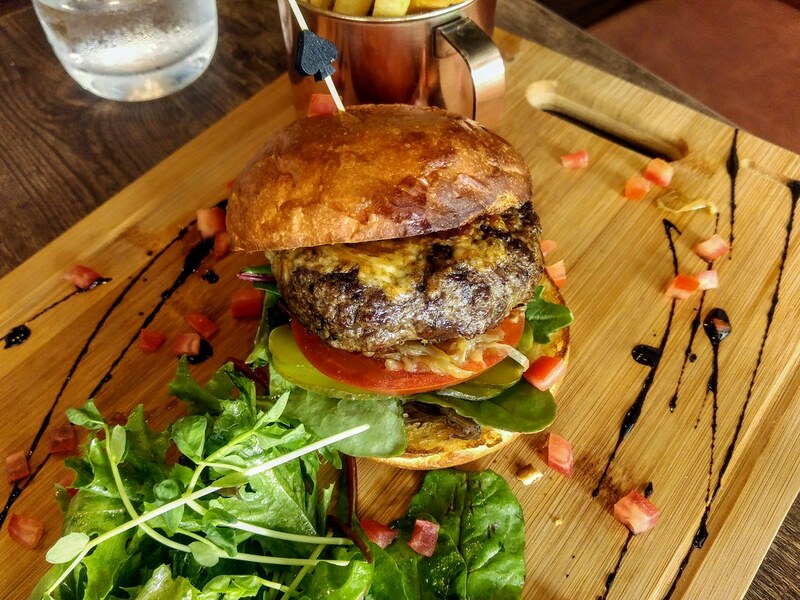 For mains, we had Grass Fed Beef Burger & Fries ($28). Other than the juicy and well seasoned 200g Australian angus beef patty, the toasted brioche bun was fluffy with crisp edges, which is a plus point for me, done the way we wanted. The caramelised onions could be reduced further for sweetness though. With the wide view of the bustling street that the space offers, I could just sit by the window pane with a coffee and people-watch all day. Other than food and coffee, Morettino Cafe is strong with their wine repertoire too. Their wine list features 100 bottles starting from $38 and under $100, and changes with the seasons. Labels includes newcomers to Old-World classics from small-production winemakers.